This pack contains several mods and reworks what I have made. It's recommended to use RJL's Scania and P8 Scania RS Addons with this lightpack. 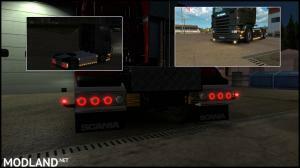 - Short sidelights with stands. 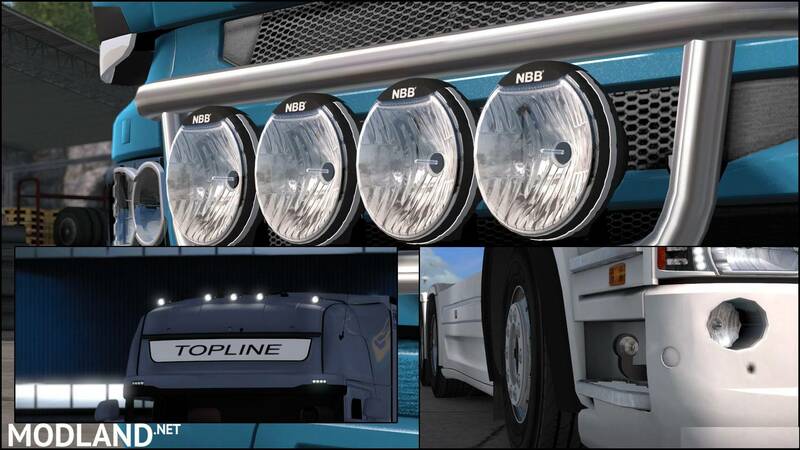 - New lightmask and flares for 50k's foglights/lollipops. - Tones added for horns. 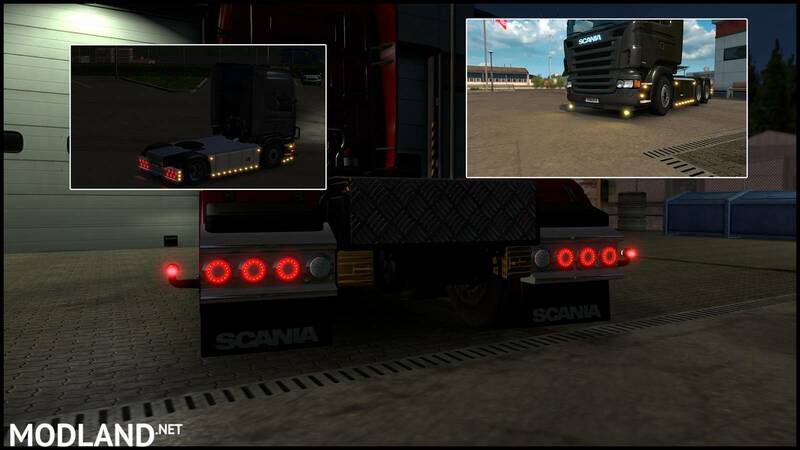 - Boreman marker lights added. 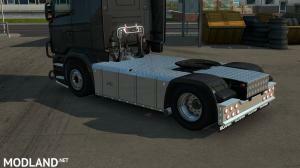 - Materials of Hella marker lights updated. - New version of torpedos added. - Mudflap's shadow problem fixed.